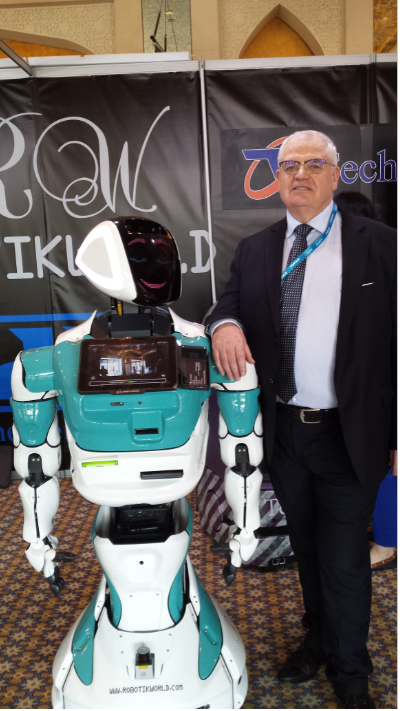 Prophix user conference May 2019 Birmingham, U.K.
Just an early note for your diaries that the Prophix EMEA user conference next year will be held in Birmingham in the U,K, 22-23 May. Meet and socialise with senior Prophix management, and other Prophix users. Learn about the product road map and new features. Learn useful tips and tricks. 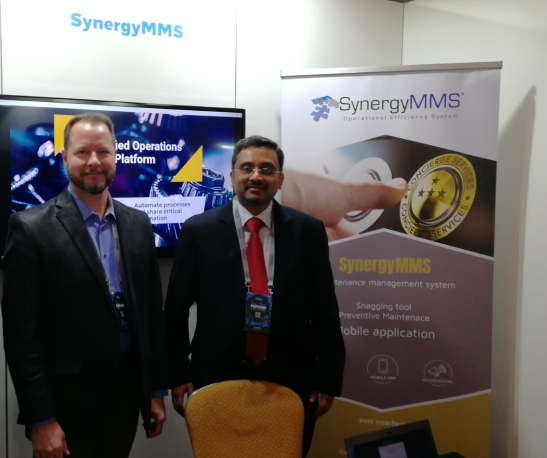 Hitec Dubai 2018- Synergy Software Systems, Deyafa Systems showcase ‘Inigma’. Dubai Corporation for Tourism and Commerce Marketing (DCTCM) CEO Issam Kazim officially inaugurated the second HITEC 2018 Dubai, the Middle East’s largest, hospitality technology, exhibition and conference. This year’s event took place yesterday and today at the Madinat Jumeirah Dubai ( December 5- 6) and showcased a wide range of innovative solutions from the world’s leading hospitality technology providers. 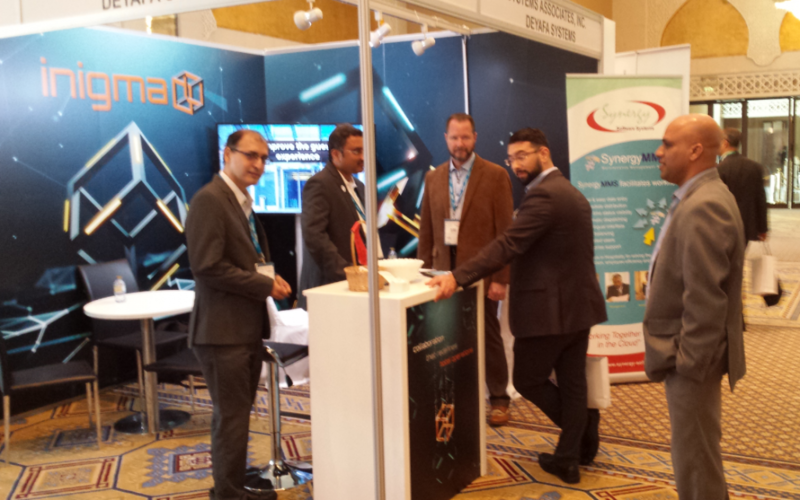 Synergy Software Systems together with Deyafa Systems presented the Inigma software solution. 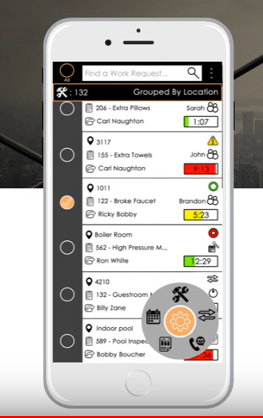 Inigma task management system and collaboration platform offers a smoother and more efficient way to run operations for any hotel. The Dubai Metro stations on the Red Line will be operating on Thursday, June 14, from 5am to 2am (of the following day) and on Friday, June 15, from 10am to 2am (of the following day). From Saturday to Monday (June 16-18, 2018), the service will be running from 5am to 2am (of the following day). The Dubai Metro Stations on the Green Line will be operating on Thursday, June 14, 5.3am to 2am (of the following day) and on Friday, June 15, from 10am to 2am (of the following day). From Saturday to Monday (June 16-18, 2018), the service will be running from 5.3am to 2am (of the following day). The Dubai Tram will operate from Saturday to Thursday from 6am to 1am (of the following day), and on Friday from 9am to 1am (of the following day). The Federal Tax Authority (FTA) has announced the supplies that will be subject to Value Added Tax (VAT) as of January 1, 2018.Selected supplies in sectors such as transportation, real estate and financial services will be completely exempt from VAT, whereas certain government activities will be outside the scope of the tax system (and, therefore, not subject to tax). These include activities that are solely carried out by the government with no competition with the private sector, activities carried out by non-profit organisations. The UAE Cabinet is expected to issue a decision to identify the government bodies and non-profit organisations that are not subject to VAT. The UAE and Saudi Arabia are the two GCC member countries which will implement Value Added Tax (VAT) Reform from 1st January 2018 whereas the remaining member countries will implement over the coming years. According to the UAE tax officials, it is anticipated that the new tax reform will help to generate nearly Dh12 billion (around 0.8 percent of GDP) revenue in the initial year after the introduction of the VAT. It might increase to Dh20 billion (around 1.2 percent of GDP) in the succeeding year (2019). Just a short note of congratulations to our customer Bayara celebrating their 25th anniversary (just a year behind our 25th anniversary). Its always satisfying to see our customers grow using the solutions we implemented and support for them, and proving that the right business systems and partner adds value. Hear from industry experts, network, meet with us and let us show you Dynamics 365 Finance and Operations Enterprise at this Microsoft Gul sponsored Manufacturing Master Class. The holy month of Ramadan is expected to start this weekend. 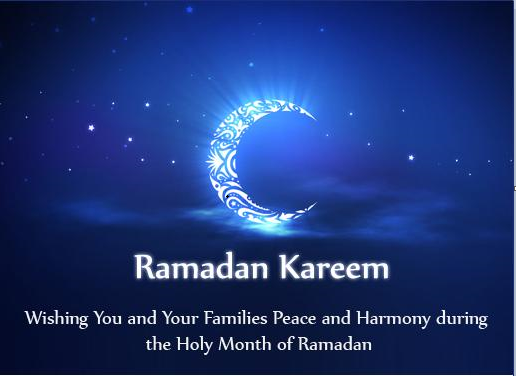 “The Saudi Supreme Court has already called on all Muslims throughout the Kingdom of Saudi Arabia to sight the crescent of the Holy Month of Ramadan on Thursday, May 25- it is expected that Ramadan will officially start on either Friday or Saturday. Our offices will be closed on Fridays and Saturdays until end of Ramadan. \Visitors will be provided with water in the conference room at their request, but will otherwise generally not be offered refreshment. Some Guidance for those new to the region. It is very easy to forget in hot weather that there are cultural norms and that authorities and others will be offended if these are not followed. It is a difficult enough time in this climate for those who fast, so please show due respect. You may well be stopped by the police for e.g. drinking a bottle of water in your parked car, or you may offend others by eating sweets, or your own food. This is a very difficult time due to the hot, humid weather, which is expected to get a lot hotter, and we encourage you all to take adequate drinks of water at the appropriate times. Dress code: Dubai has fairly relaxed standards that it is a tourist destination, but please be extra aware of the need to behave and dress with modesty and decorum and respect in this period. Public shops and restaurants. Opening hours may be amended because those too will have shorter working hours – so plan ahead. In most cases shops will open after Iftar and will stay open much later than usual. Alcohol sales, and public entertainment, music etc. will be stopped. Some restaurants and shops may serve takeaway food during daylight hours, but will not be open for sit down meals.Some hotels may have segregated screened areas where food can be obtained. Clinics, doctors, pharmacies etc. may also have reduced working hours. and from 07:00 pm to 12:00 (midnight). Al Ghubaiba Station from 04:30 am to 12:00 (midnight). Subsidiary stations, like Al Satwa, will operate from 04:57 am to 11:35 pm, and Route C01 will operate around-the-clock at Satwa. Jebel Ali Station will be offering service from 05:00 am to 12:00 (midnight). Stations of Metro Link buses, such as Al Rashidiya, Mall of the Emirate, Ibn Battuta, Burj Khalifa-Dubai Mall, Abu Hail and Etisalat, will open from 05:00 am to 12:20 am (past midnight). The timing of all Metro Link buses will match the timing of the metro service. Main stations like Al Ghubaiba will operate around-the-clock to Sharjah (Jubail), and from 4:30 AM to 12:00 midnight to Abu Dhabi. •	Subsidiary stations, like Union Square, will operate from 04:35 am to 01:25 am (of the following day). •	Al Sabkha Station will open from 06:15 am to 01:30 am (of the following day). •	Al Ahli Club Station will open from 05:55 am to 10:15 pm . •	Hatta Station from 05:30 am to 09:30 pm, and Ajman Station from 04:27 am to 11:00 pm. Dubai Metro services, the Red Line stations will run service in Ramadan from Saturday to Wednesday from 05:30 am to 12:00 (midnight). On Friday from 10:00 am to 01:00 am (of the following day). There will be no change in the timing of the Express Metro service during Ramadan. The Green Line stations will operate in Ramadan from Saturday to Wednesday from 05:50 am to 12:00 (midnight). The Dubai Tram will operate from Saturday to Thursday from 06:30 am to 01:00 am, and on Friday from 09:00 am to 01:00 am (of the following day). The Water Bus will shuttle in marina stations (Marina Mall, Marina Walk, Marina Terrace, Marina Promenade) from 12:00 at noon up to 12:00 midnight. The Water Taxi will operate from 09:00 am until 10 pm. Dubai Ferry will be calling at Ghubaiba Station at 11:00 am and 06:30 pm. The Ferry will operate from Marina at 11:00 am, 05:00 pm and 06:30 pm. From Dubai Water Canal Station to Al Jaddaf Station at 12:05 at noon and 07:35 pm. Traditional Abra will operating at (Ghubaiba, Baniyas, and Dubai Old Souq), from 10:00 am until 12:00 (midnight). 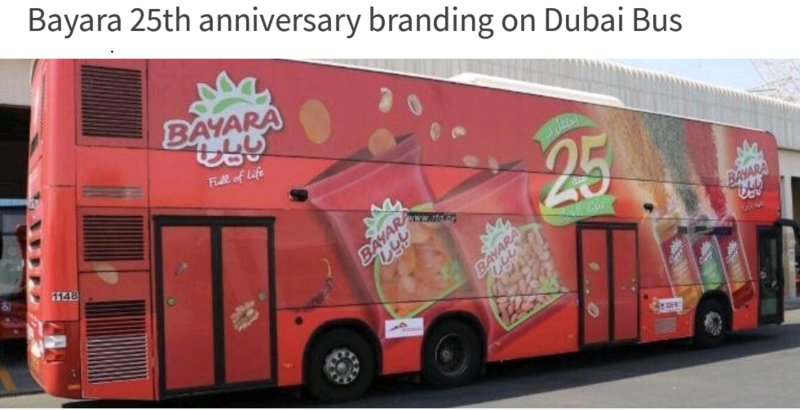 At Al Jaddaf Station, Dubai Festival City, it will operate from 07:00 am to 12:00 (midnight). At the Sheikh Zayed Road Station (Dubai Water Canal), it will operate from 08:00 pm to 02:00 am (of the following day). At Al Mamzar from 08:00 pm to 02:00 am (of the following day). Technical testing centres run by suppliers will offer services in respect of light vehicles during Ramadan in the morning only without prior appointment. Technical testing services of heavy vehicles will be offered in the morning and evening. Tasjeel Enoc (Al Qusais, Al Awir, Al Barsha, Al Tawar and Warsan) from Saturday to Thursday will be open in two shifts. In the morning from 08:00 am to 04:00 pm and in the evening from 09:00 pm to 02:00 am (of the following day). Jebel Ali Centre will open from 08:00 am to 04:00 pm. Emarat, Shamil, Al-Adid, Wasl, Al-Muhaisna, Nad Al Hamar, Al Jaddaf and Al Arabi Centers will open from Saturday to Thursday on two shifts. In the morning from 09:00 am to 04:00 pm and in the evening from 09:00 pm to 02:00 am (of the following day). In the morning from 09:00 am to 05:00 pm and in the evening from 09:00 pm to 03:00 am (of the following day). Al Shirawi Enterprises Centre will open from 09:00 am to 05:00 pm. Al Mumayaz Centre will open from Saturday to Thursday (at Al Mizhar Markets and Al Barsha Mall) on two shifts. In the morning, it will open from 09:00 am to 04:00 pm and in the evening from 09:00 pm to 01:00 am (of the following day). Tamam Speedfit & Cars Centers will open from Saturday to Thursday on two shifts. In the morning, they will open from 09:00 am to 04:00 pm and in the evening from 09:00 pm to 02:00 am (of the following day). Centres that will open on Friday during Ramadan are: Tasjeel Enoc (Al Qusais and Al Barsha) from 09:00 pm to 02:00 am (of the following day); they will offer VIP Service for processing transactions only. Quick Registration Centre will open from 09:00 pm to 03:00 am (of the following day). Those who are fasting from early morning need to be aware of the risk of fatigue or feinting especially if driving long distances and should adjust their meal times and sleeping hours. With an earlier finish we may all get a lot more exposure to sunlight. Take care to avoid overexposure. We are close to the equator and the sun’s radiation is much stronger here than is generally realized even on a cloudy day. Protect your eyes with sunglasses, if you are fair skinned then also consider sun cream, or long sleeves or a parasol and/or a hat. The locals cover themselves from head to foot for good reason. Long distance driving e.g. to Abu Dhabi also creates risk of overexposure. Customers’ happiness centres will be operating from Sunday to Thursday at different times. Umm Al Romool, Al Barsha, Deira and Al Kafaf Centers will open from 09:00 am to 02:00 pm. Al Tawar, Al Manara, and Al Awir Centers will operate from 09:00 am to 05:00 pm. DO… make the most of the community spirit. Say ‘Ramadan Kareem’ to friends and colleagues, introduce yourself to those neighbours to whom ‘you’ve always meant to say ‘hi , organise an after-work iftar, and catch up with friends and family. DO… understand that many locals become a night owl. Everything happens later during Ramadan. Malls are open past midnight and suhoors go into the early hours. DO… your bit for a good cause. Ramadan is a good time to put your money where your mouth is. The UAE has a wide range of charitable and volunteering organisations. If you’re not a Muslim, then they still apply – you’re still expected to be respectful. It’s frowned upon to dress inappropriately, eat, drink or smoke during daylight, play loud music or swear in public. At the very least these things are frowned upon and will cause discomfort to others, and at worst you may find yourself in trouble with the police or fined. DON’T… lose your patience. Working hours are likely to be shorter (and perhaps a little less productive), those who are fasting tend to be tired, and the UAE’s roads will be more hectic at times. سائلين الله عـز وجـل أن يرزقكـم فيه مغـفـره ورحمه وعتق من النار. VAT Phase 1 – open for registration. 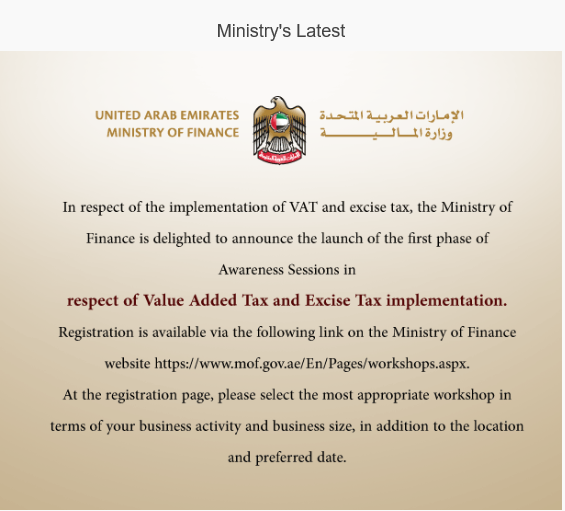 An event aimed at all businesses to explain the rules of the new VAT system will cover the general application of the new VAT rules and will not focus on any specific industry sector.​ Several workshops are scheduled across the U.A.E. Place: Please note that the exact venue details will be sent to you 72 hours before the event. Similar events will be held on 18th and 30th April in Dubai. An excise briefing will be held Excise Tax briefing. An event aimed at businesses involved in the import, production and sale of tobacco products, carbonated drinks and energy drinks to explain the rules of the new Excise Tax system , ​will be held 10 May in Dubai. 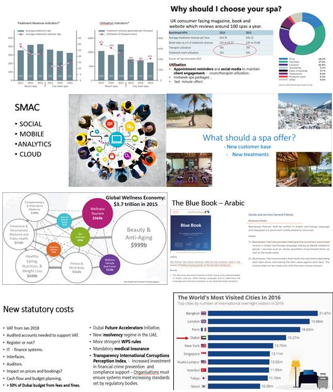 What challenges and opportunities face Spa operators this year? VAT introduction – are you ready? Economic situation” Oil prices? Trump travel ban? Brexit? VAT? U.A,E, GDP and budget forecasts? 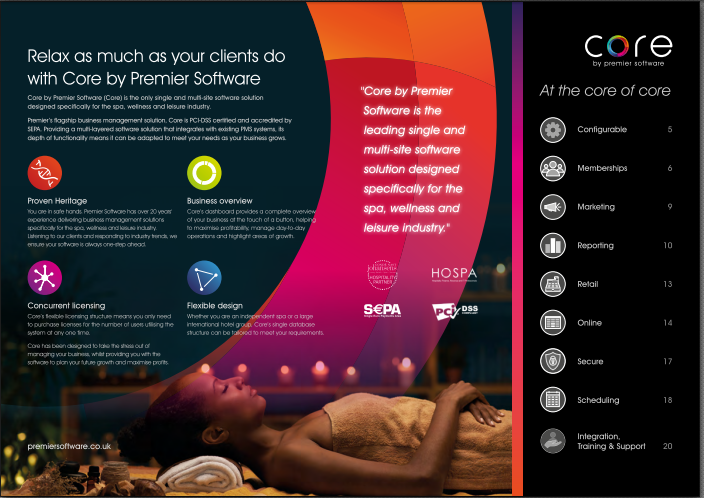 The “Core” solution for spa has had huge success since it launch last year in the U.K. In the last quarter of 2016 it was introduced to the U,A.E. and early adopters include Nikki Beach Spa and the Burj Club. 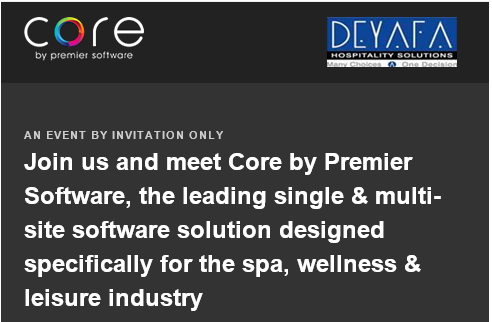 The event will end with a live demonstration by Premier Software who have partnered with Deyafa Systems locally to provide Spa solutions to the region since 2003. If you have not received an invitation and would like to attend then please contact Deyafa Systems as soon as possible to register. Take this opportunity to meet with other Spa professionals and to get update insights to guide your strategy.